Intel Core i7-6700K Skylake is the highes performance quad core hyperthreaded processor for 2015. It's a multi-tasker's dream come true. 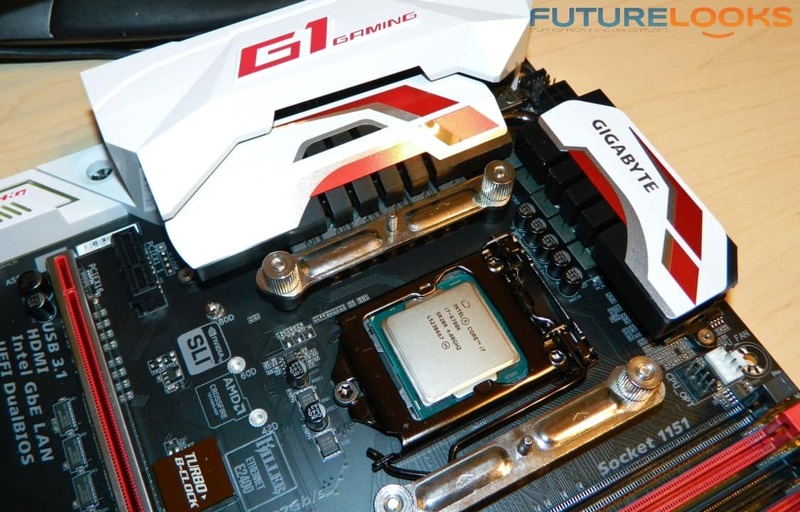 It'll support gaming well in to the future but not extreme overclockers. The configuration is a bit different since we're using a new Z170 motherboard. The comparison will include a Z97 platform with the Intel Core i7-4770K, Core i7-4790K, and Core i7-5775C. The latest motherboard and graphics drivers were installed for best results. We're using the latest F4h beta BIOS for the best results. In order to keep things simple, we're using primarily CPU benchmarks. This includes Cinebench, HandBrake, SANDRA Math and Multimedia, Cryptography, Memory, PCMark 8 and discreet gaming. 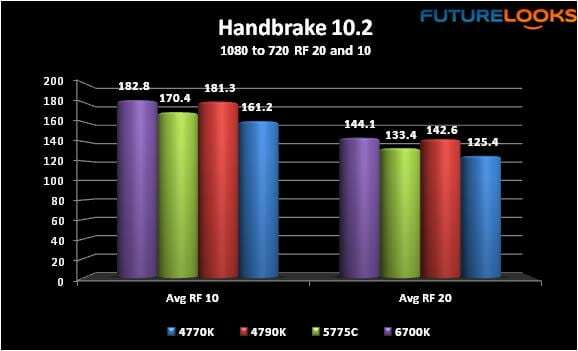 The 6700K doesn't make the same performance leap forward that Devil's Canyon made. Keep in mind that the flagship Skylake 6700K is only 200 MHz faster than the Devil's Canyon 4790K. Still, we'll take what we can get. The Intel Core i7-6700K was marginally faster than the 4790K. That's expected since DDR4 memory uses higher timings. If you overclocked the 4790K with your board's first BIOS OC preset, the performance would be identical if not slightly better thanks to lower timings. Keep that in mind if you're a DIY enthusiast. 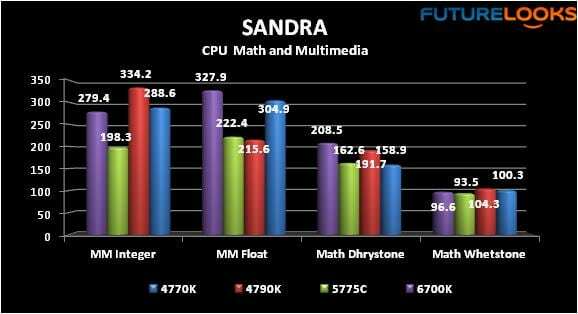 While the Intel Core i7-6700K takes the lead in Multimedia Float and Math Dhrystone tests, Math Whetstone and Multimedia Integer tests see it trailing the i7-4770K/4790K. There may still be some optimizations in software to tweak, but out of the gate, its direct predecessors still give the new kid a run for its money. But let's dive a bit deeper.